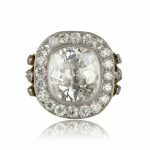 One of a kind rare vintage style engagement ring. 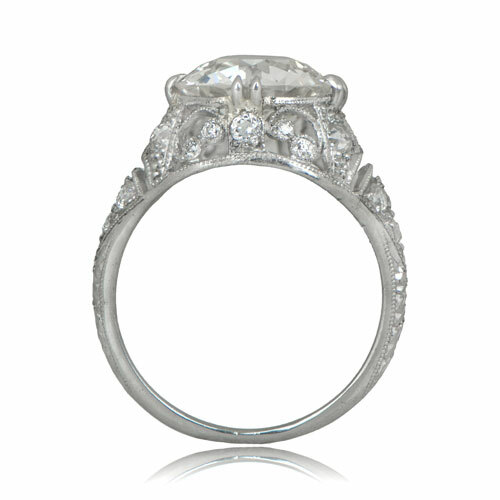 Handcrafted in platinum based on a vintage ring from our collection, the designs, filigree, and milgrain are breathtaking. 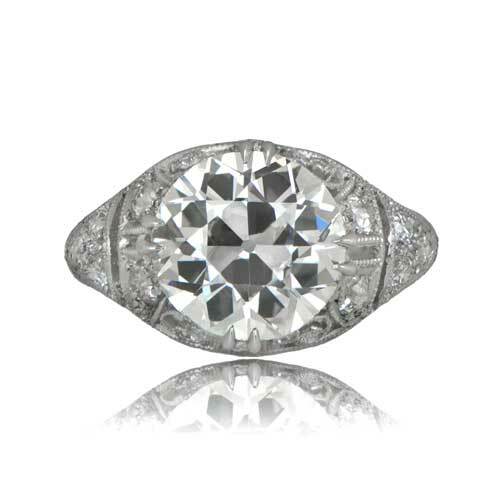 The beautiful old European cut diamond is I color, VS2 clarity and 3.50 carats. 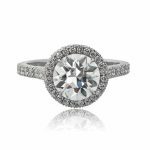 The gorgeous stone is held high in a double prong setting that delicately emerges out of the diamond-studded and glittering leaf motif ring. The center diamond was cut circa 1915. 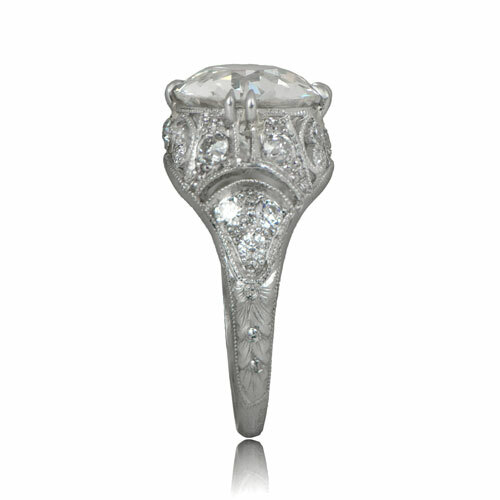 SKU: 11531B Categories: Old European Engagement Rings, Sold, Vintage Engagement Rings - Contact us and request additional pictures.